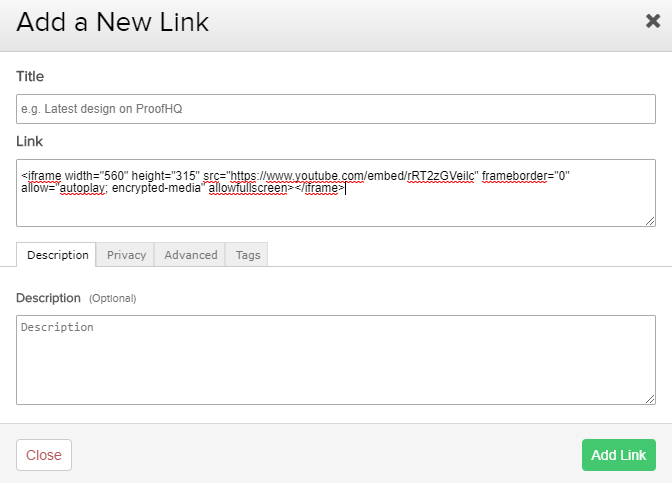 Within Teamwork Projects, you can embed a video within the links area of your project rather than only adding the URL link. 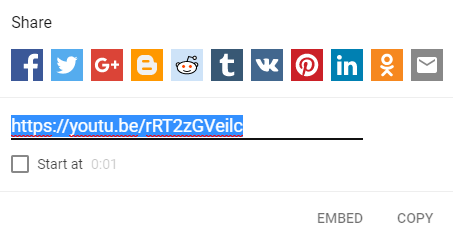 By embedding the link you can watch the video directly in a popup window without having to go to YouTube itself. To find the link you will need to go to YouTube. First, browse to the video you wish to embed. Beneath the video player, click the Share option. Choose the 'Embed' option to the bottom right of the pop up box. Copy the code displayed in the textbox (it should contain an IFRAME snippet of code). Once you've copied the code snippet, you can add that to the HTML Code section of the Add Link screen in your project links area.